My heart is filled with gratitude as I begin to write. My mind is filled with hope. My body is energized, buzzing with the positive reverberations of music created together, harmonies that only happen when multiples voices unite in song. 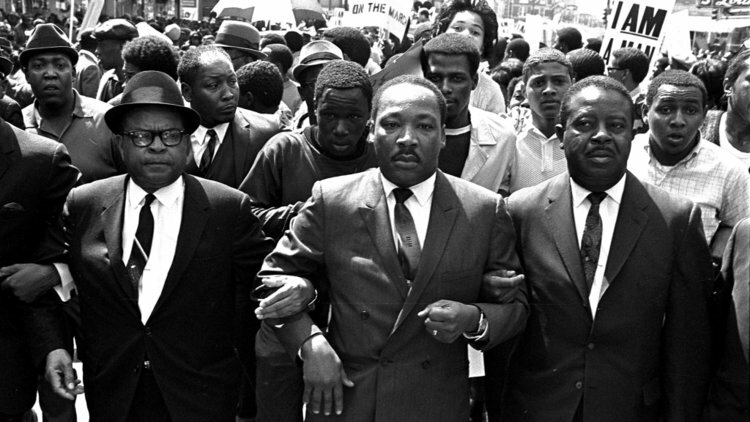 I spent the last several hours at a celebration of the life of Dr. Martin Luther King, Jr. I spent the last several hours with people who are deeply concerned about our country, about the well-being of every single person who lives in it. I spent the last several hours with people who are not only concerned, but are working for social, environmental, economic, and racial justice, and doing so through nonviolence. I spent the last several hours listening to the words of my fellow Louisvillians, as they echoed Dr. King’s words and brought them into the realities of today. It has been almost two months since I’ve written here. Two months in which I’ve left a full-time position, gone to Standing Rock in the midst of voices both affirming and disparaging the decision, spent a month with one sort of illness or another, sometimes one on top of other, retreated to a cabin in the woods, started teaching two classes on nonviolence, had a 29-year-old relative die of cancer and a new baby born into the family. I’ve refinanced my house and started to live into the new life I seek to create. In my cabin in the woods, where I finally slowed down enough to listen to the quiet and insistent voice of Being, one of the clear messages I received, not for the first time, was that I must write. I must create. Despite that, beyond what I’ve written above, I don’t much want to write my own words today. They’re still working their way through me, through channels that feel as jumbled as the tilling, loosening, and overturning going on in our country and world right now. “We have arrived at the Revolution,” our MC said today. I believe her. I want to be a part of the tilling that uproots those things that seek to choke out Life, pulls what needs to be cleared to make space for Love and Truth, prunes what’s growing out of control, and plants with tender care what will flourish and nourish us all. I know that during the digging, uprooting, pruning, and planting processes, my words will come out eventually...when it’s time. So today, instead of trying to force my words, I will share some of the wisdom of Mahatma Gandhi and Dr. King that I hope and believe will not only guide my writing, but also all that Life garden work. But I believe that nonviolence is infinitely superior to violence, forgiveness is more manly than punishment. Strength does not come from physical capacity. It comes from indomitable will. Nonviolence in its dynamic condition means conscious suffering. It does not mean meek submission to the will of the evildoer, but it means putting of one’s whole soul against the will of the tyrant. I invite even the school of violence to give this peaceful noncooperation a trial. It will not fail through its inherent weakness. It may fail because of poverty of response. Returning hate for hate only multiplies hate, adding deeper darkness to a night already devoid of stars. Darkness cannot drive out darkness; only light can do that. Hate cannot drive out hate; only love can do that. Hate multiplies hate, violence multiplies violence, and toughness multiplies toughness in a descending spiral of destruction. When machines and computers, profit and property rights are considered more important than people, the giant triplets of racism, materialism, and militarism are incapable of being conquered. …the inseparable twin of racial injustice [is] economic injustice. Gandhi was probably the first person in history to lift the love ethic of Jesus above mere interaction between individuals to a powerful and effective social force on a large scale. 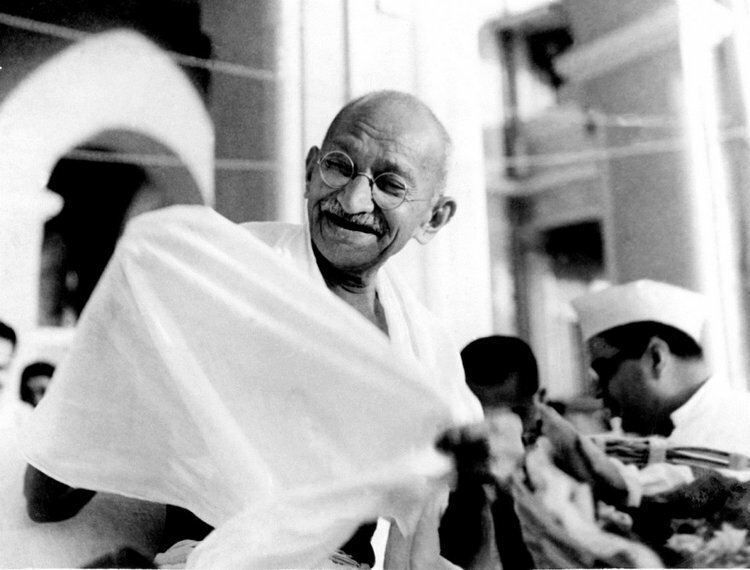 Love, for Gandhi, was a potent instrument for social and collective transformation. It was in this Gandhian emphasis on love and nonviolence that I discovered the method for social reform that I had been seeking for so many months…I came to feel that this was the only morally and practically sound method open to oppressed people in their struggle for freedom. …nonviolent resistance is not a method for cowards; it does resist. …it does not seek to defeat or humiliate the opponent, but to win his friendship and understanding. …the attack is directed against forces of evil rather than against persons who happen to be doing evil. …[it includes] a willingness to accept suffering without retaliation, to accept blows from the opponent without striking back. …it avoids not only external physical violence but also internal violence of spirit. …it is based on the conviction that the universe is on the side of justice. Agape is love seeking to preserve and create community. It is insistent on community even when one seeks to break it. Agape is a willingness to sacrifice in the interest of mutuality… I can only close the gap in broken community by meeting hate with love. May you be as inspired and challenged by these words as I am. Blessings.